Edinburgh, Scotland, United Kingdom. 31 December 2017. Spark! 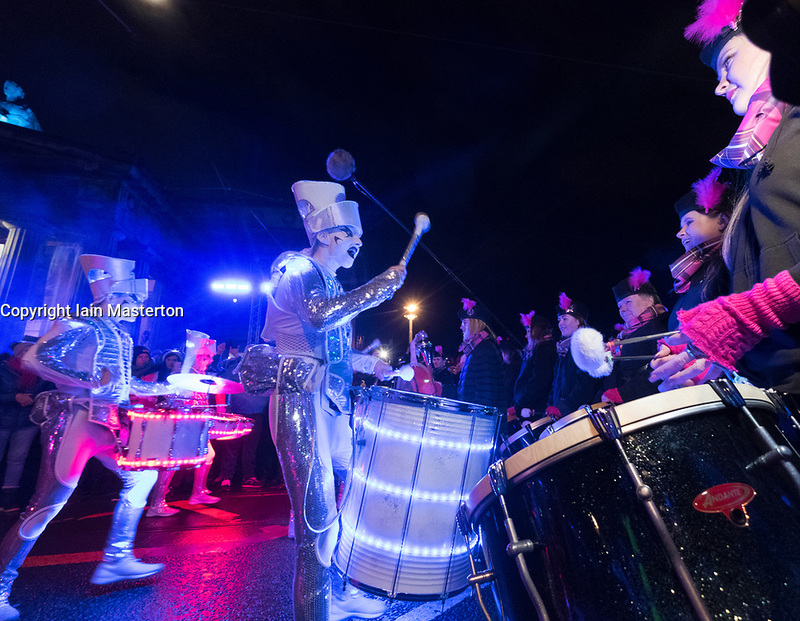 LED Drummers perform on Princes Street during Drum Off with all female drumming group during annual New Year of Hogmanay celebrations in the city.